On Thursday, November 16th, The Helping Hands Club held our annual Christmas “Packing Party”. 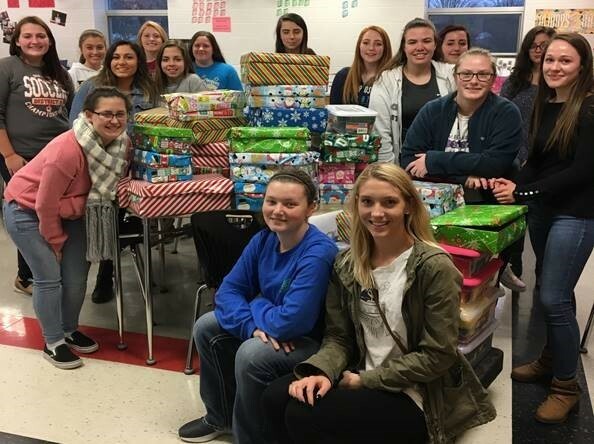 The Helping Hands Club worked together with CHS staff to pack 53 total boxes for Operation Christmas Child. As a school, the students and staff members donated items such as toys, books, and socks, etc. At our packing party, the students pack the items into a shoebox for a young girl or boy around the world. After the shoeboxes were wrapped, packed, and labeled, they were then dropped off at a collection center and will soon be delivered to children all around the world! This year, we will be tracking our boxes to see where they will go.